Not all wedges are made equal. If you are a low handicapper that plays a little aggressively, then you want a wedge that will offer you less bounce, more backspin and give you the ability to play the ball no matter what the lie. If you are a beginner or a high handicapper, looking to improve your short game, you want some of the same things. You may want a little less backspin on your shots, until you can properly control it. On our list below you will find the best lob wedge for your needs. Loft – A lob wedge typically ranges from 58 degrees to 65 degrees of loft. The higher degree will allow you to hit steeper/higher shots that land on the green with little or no roll. Higher degree clubs also tend to be harder to master, and require a lot of practice before you can be confident enough to use in pressure situations. If you are still mid-high handicapper, the maximum loft you should get is 60 degrees. Bounce – A club’s bounce is the angle between the sole of the club and ground (illustration). There are usually 3 choices for bounce: high, low, or standard bounce. High bounce clubs prevents the head from digging into the ground and enables the head to literally ‘bounce’ out of sand/rough . Higher bounce is generally better for soft conditions (i.e. sand or high grass, deep rough), while a lower bounce is better for harder conditions (fairway, hard sand). You should choose the bounce recommendations depending on the course conditions you usually play, as well as your swing style. If you struggle to generate spin on those all-important chips, pitches, shots from the rough or the sand, then Cleveland has the perfect solution. The 588RTX has U-Grooves that are 16% bigger allowing you to control the ball and maximize the spin. Surface and impact friction is increased by rougher, longer lasting laser milling. The wedge has an S-Sole which features a wider width at the heel and a narrower sole at the toe. This means the club is more adaptable than ever while also improving performance in the bunker. This club gives you great control over your chips and pitches and even if your swing is a bit inconsistent it is very forgiving. Not only does it make it easier to hit the green, but the extra spin you can generate helps the ball hold the green every time. Cleveland is famous for their wedges, and you will not be disappointed if you purchase one from them. 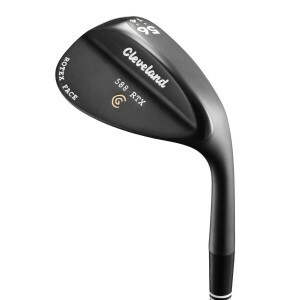 Buy the Cleveland Golf Men’s 588 RTX Black Pearl Wedge here! From Callaway, producers of some of the best golf gear available, this forged wedge has a “tour-inspired shape” with 21 closely spaced tour CC Grooves and “TripleNet” forging. This gives you a bit of extra yardage and a more controlled flight path. The “C” shape relieves the heel and reduces the width of the sole resulting in a straighter leading edge allowing you to make precision shots. If you are a low handicap and like to play aggressively around the greens this is the best lob wedge for you. Higher handicappers may want to look at a slightly more forgiving wedge as these are quite stiff. The finishes are exquisite and really eye catching. Holding this wedge at address really inspires confidence. 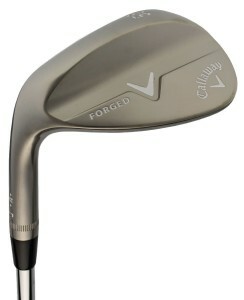 Buy the Callaway Forged Wedge here! Check out the Copper colored version here! This Bridgestone wedge produces very little bounce on the toe and heel sole areas thanks to their trademarked Variable Bounce Technology. The face of the club is rougher, which increases the spin, as a result of machine milling. They look great in a non-glare / matte black oxide finish and the classic head was designed with input from tour staff. The True Temper Dynamic Gold Spinner shaft gives great feel on every shot and the ball control and spin you achieve is superb. The shaft is forgiving and is the best lob wedge for a higher handicap player. 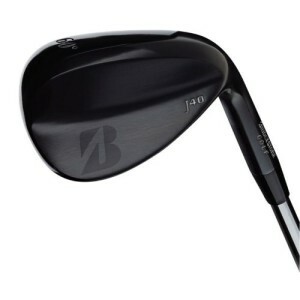 Buy the Bridgestone Golf J40 Black Oxide Wedge here! Want to save some money? Then this budget wedge from Pinemeadow could be the club for you. 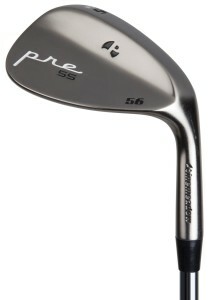 Similar to the other wedges on this list, the Pinemeadow Pre-Nickel wedge features U-Groove technology. Thanks to a tapered sole from the heel to the toe, it offers a more forgiving hitting surface. No matter your lie, this club will allow you to hit accurate shots and control the ball. If you are looking for a cheaply priced wedge to fill out your bag, then you can’t go wrong with this. Buy the Pinemeadow Golf Men’s Pre Nickel Wedge here! TaylorMade’s ATV (All-Terrain Versatility) Wedge , was designed to excel in all types of shots from all terrain conditions. It is the most versatile wedge on the market, and can be used for pitches, chips, bunker shots, shots out of the rough, shots off hard surfaces, bump n’ runs, and flop shots. The toe, heel and edge were designed to reduce resistance and reacts differently on turf and sand, depending on your positioning. The new groove design generates nearly as much spin as its infamous Z grooves (banned by USGA a few years ago). If you want one wedge that can do it all, then the TaylorMade TP ATV Wedge could be the best for you. 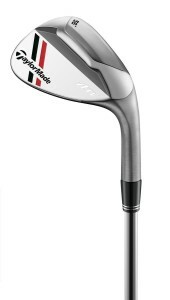 Buy the TaylorMade TP ATV Wedge here! These manufacturers are all household names and their technology and manufacturing processes are cutting edge. They work with the pros on their tour staff and everything they learn filters down to you. Pick the best lob wedge for your bag for that boost your short game needs. ‹ What are the Best Cheap Golf Balls?